Parents of identical twins will tell you that the similarities mostly end with looks. Each child has his or her own distinct personality. The performance of the local housing market through the first three quarters of 2009 and 2010 is much like identical twins. On the surface, they appear identical: this year there have been 2,110 sales, in 2009 there were 2,111. But just like twins, the surface is where the similarities end. Chief among the differences are affordability conditions and pace of sales. Buyers right now are seeing unprecedented affordability. Prices relative to income are quite low. In addition, while moderating their decline, prices are down 5.4% from a year ago and mortgage interest rates are substantially lower than 2009 levels. This combination has created great opportunity for today’s buyers. Someone purchasing today’s average priced home will pay almost $225 less per month than a year ago. The next distinction is pace of sales. Even with the great affordability conditions, a much greater portion of the total sales in 2010 were packed into the first part of the year. In a typical year, sales in the spring and summer are much higher than during the winter months. 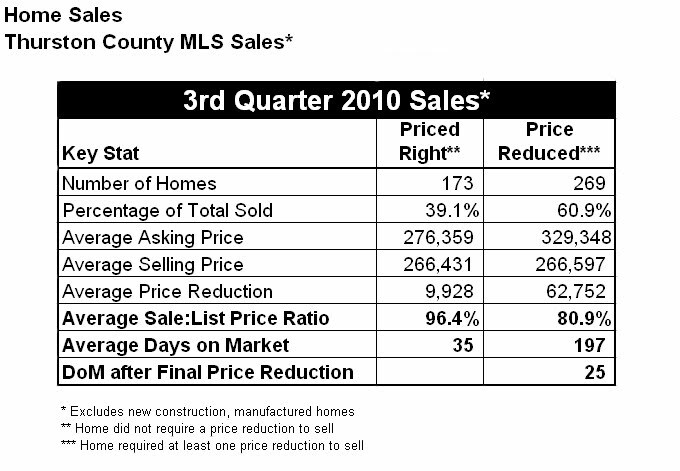 In 2009, third quarter sales were 30% higher than the first quarter. 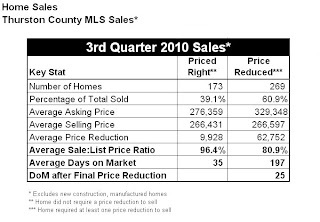 In 2010, however, first quarter sales were 9% higher than the third quarter. The reason for this unprecedented shift is the federal tax credits. Many people who entered 2010 planning to buy were working to beat the April 30th credit deadline. The money offered under that program ($8,000 for first-time buyers and $6,500 for repeat buyers) pulled a great many sales ahead of the deadline. Since the expiration of the tax credit (it is still in effect for qualified military buyers), we have seen fewer sales than might otherwise be expected. The bubble from 2003-2006 was seen not just in price but number of sales as well. 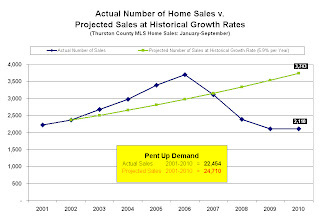 (See Chart 1) During that time, the number of buyers was 16% higher than historic levels of demand would project. Since 2007 there have been 29% fewer buyers. The size of the downside bubble has been much greater than the upside. Even accounting for fewer buyers, due to temporary credit impairment from short sales and foreclosures, the gulf between the two bubbles suggests that there is pent up demand. Our market continues to have steady population growth from in-bound migration. 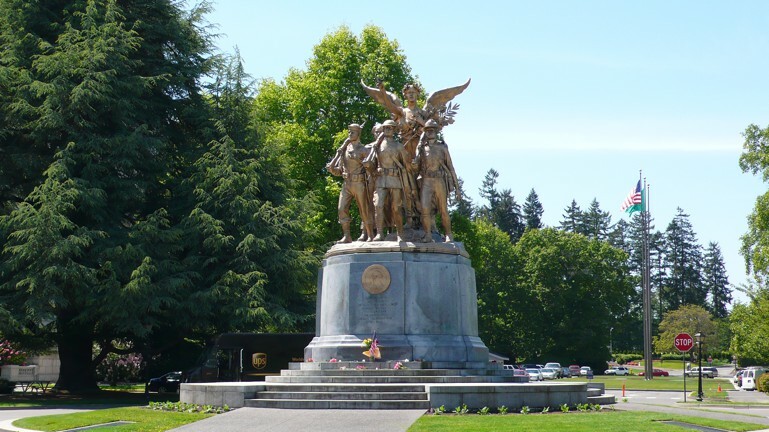 Thurston County is the third fastest growing county in the state (out of 39 counties) accordingto the Thurston Regional Planning Council’s latest study. In-bound migration accounts for nearly 25% of the homebuyers in our market. The big issue going forward is the job market. Jobs are a lagging economic indicator. After the recession of 2001, 18 of 21 months following the recession saw jobs lost. When employment inevitably turns up, the market is poised to begin a more sustainable upward correction. In the meantime, sellers should continue to carefully watch the three “Ps” of marketing – product, promotion and price. If a house is going to stand out it must be the mostcompetitive in all respects. Buyers today are still acting quickly when they see a well-priced home. 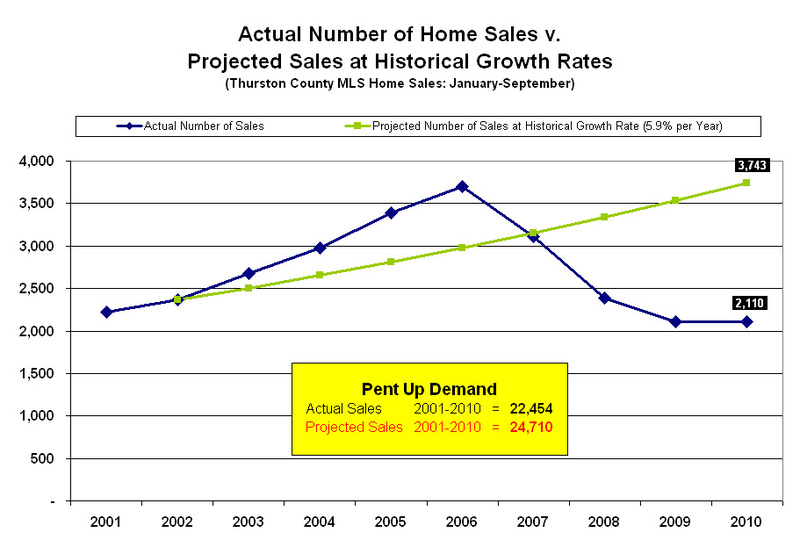 (See Chart 2) However, they continue to ignore homes that are overpriced. Sellers thatrecognize these trends are finding willing buyers in today’s market.